On Wednesday July 12th, 2017 Thrive welcomed a new website to the Freedom family! This was a total site redesign. 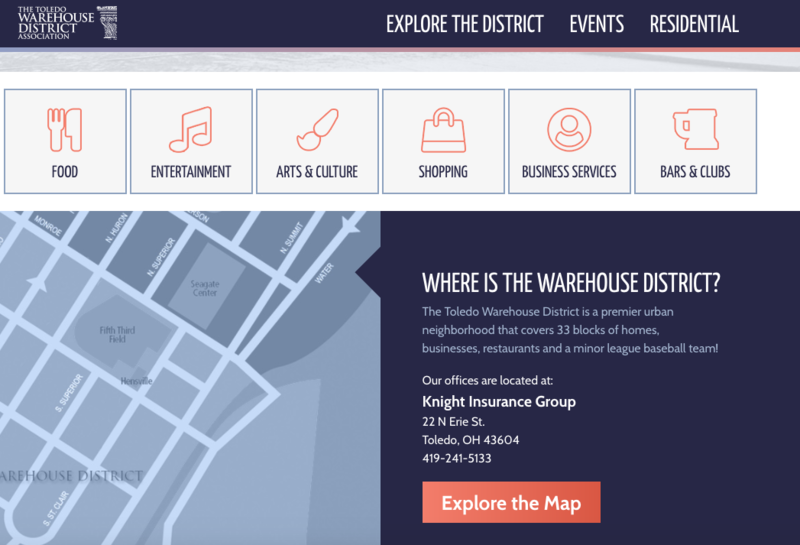 Visitors now can Explore the District, Search businesses by category - Food, Entertainment, Arts and Culture, Shopping, Business Services and Bars and Clubs. 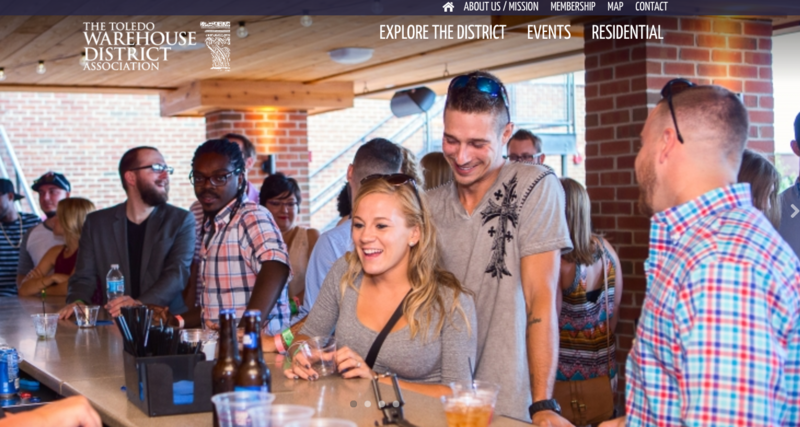 There is also a Database for Residential Propoerties in the District. 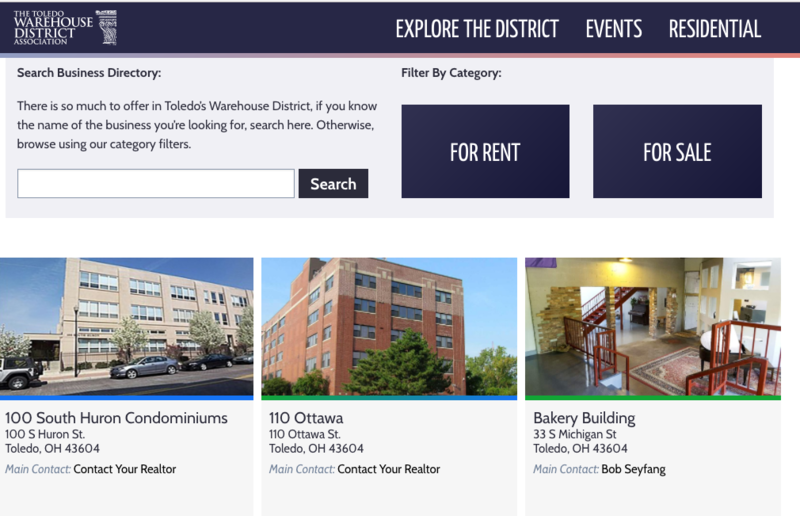 There is a lot to see at the New Toledo Warehouse District website. Visit today!